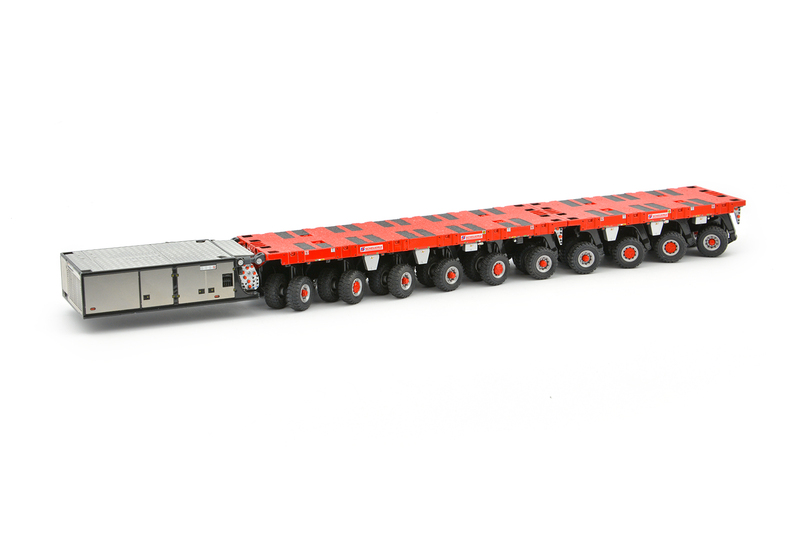 When regular transport solutions reach their limits the SPMT (self propelled modular transporter) is the choice. 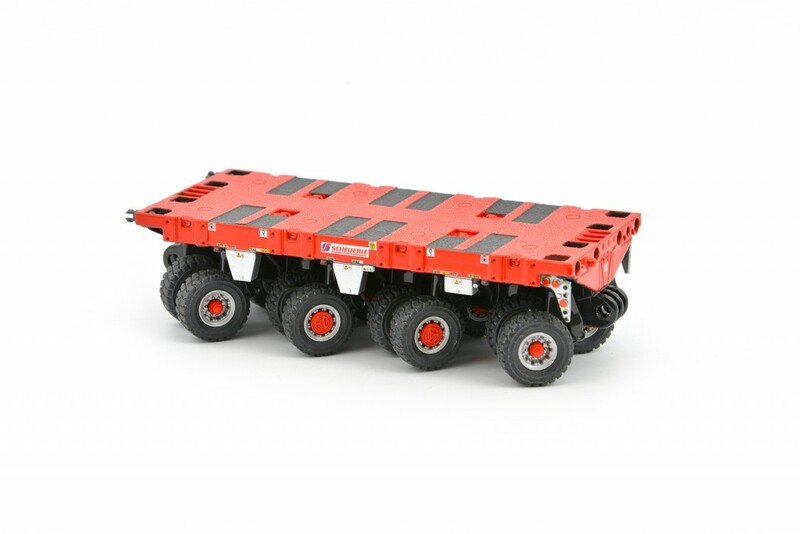 Built in standardized dimensions and indefinately compatible these modules are able to move weights way over 10.000 tons, all at the tip of a joystick. The container-optimized sizes enable it to be shipped economically all around the world, from desert heat to arctic frost. 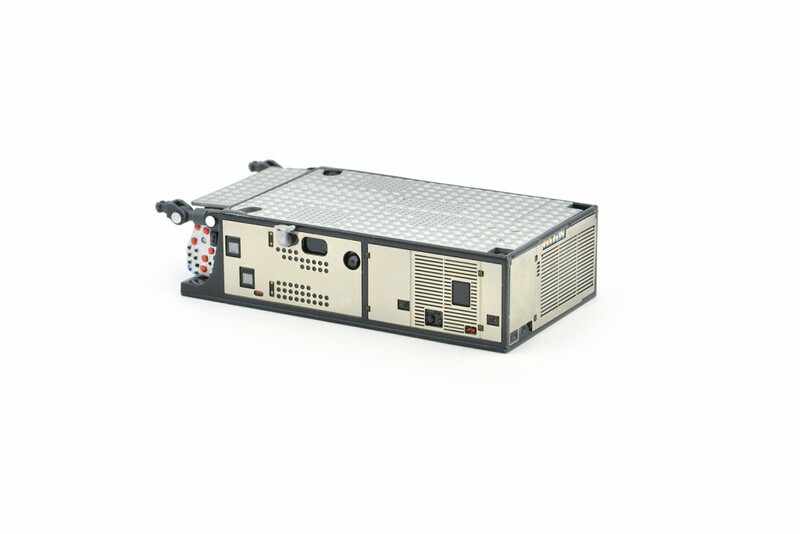 Scheuerle is the pioneer and market leader for this type of technology. 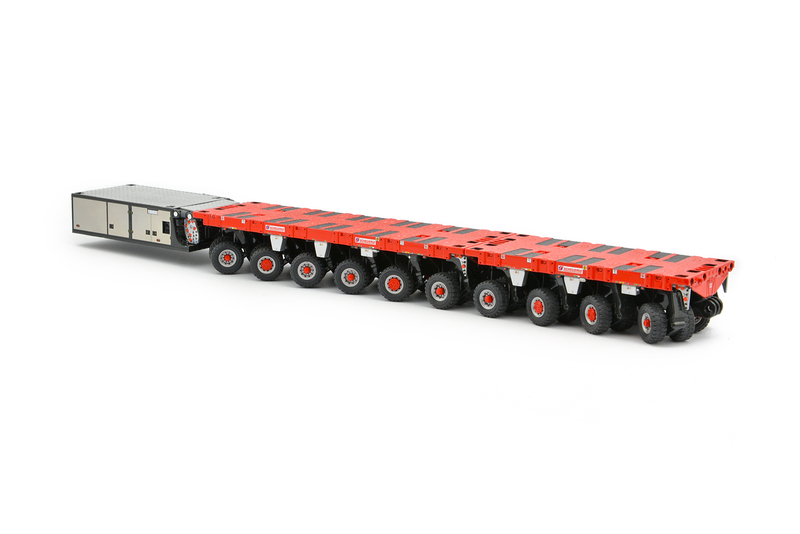 The new generation SPMT offers up to 60 tons payload per axle line. So it is logical that the TII Group asked IMC Models to develop and manufacture a high-detail 1:50 scale model of the new SPMT. The model comes in the highest level of detail and functionality. 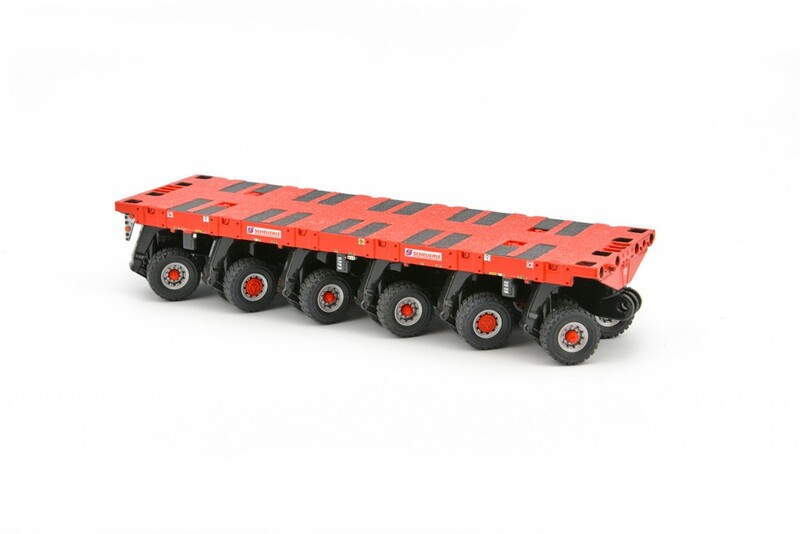 Fitted in a luxury box are a SPMT 4 axle module, a 6 axle module and the newest powerpack. In the future special versions and accessories will expand the SPMT model range!